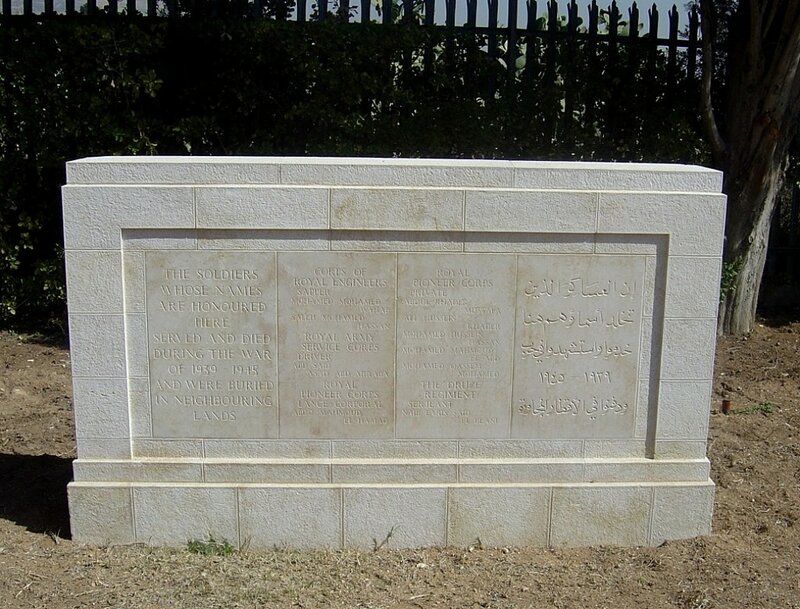 The cemetery is approximately 5 kilometres south-west of the city centre in an area known as Sabara (Arabic for prickly pear). The cemetery is amongst an area of prickly pear plants, which is located behind apartment blocks and therefore is not easily viewed from any main roads. 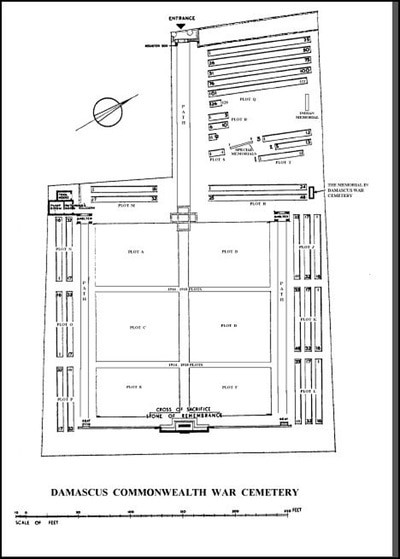 However, visitors can best reach the cemetery by private car or taxi. From Al Umawiyeen Square go along Fayez Mansour motorway to just past the Ar Razi Hospital. Then turn left until you find Al Farabi St. (which runs parallel with Fayez Mansour Motorway) and turn right into it. Go past Casablanca Flowers, past Tello Chocolates and Gifts (all on the left side). Just past No 95 is a small street named Mahmoud Antar (3) Alley. Turn left into this and then right into Abdul Karim Razzooq St. and it's about 150-200 metres along. All the streets are signposted. Saturday to Thursday 08:00 to 15:00. At all other times the gates are kept locked. The cemetery dates from the First World War when Damascus was entered by Commonwealth forces on 1 October 1918. The first medical unit arriving the next day found the Turkish hospitals crowded with sick and wounded, and a few days later an epidemic of influenza and cholera broke out. 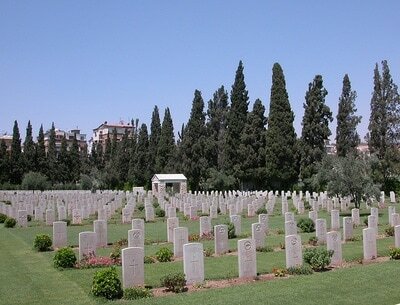 The First World War burials in this cemetery were mostly from these hospitals. The Second World War burials began in 1941 during the operations against the Vichy French, and later on graves were moved into the cemetery from civilian burial grounds, Deraa French Military Cemetery, and from scattered sites in the areas where the fighting occurred. The first burials were in a tree belt between the cemetery boundaries and the low wall which enclosed the plots of existing graves. 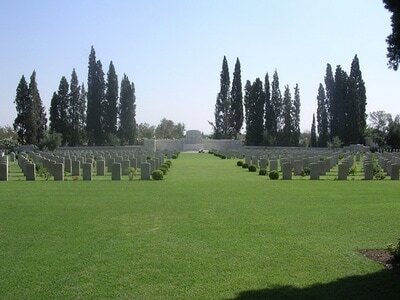 Adjoining land to the west, known as "The Cypresses", was acquired by the military authorities when it became necessary to enlarge the cemetery. 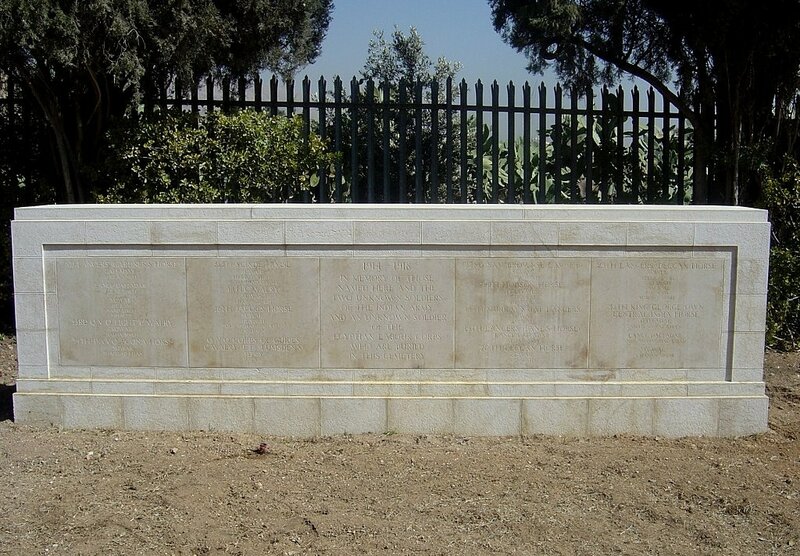 The DAMASCUS 1939-45 MEMORIAL also stands within the cemetery. 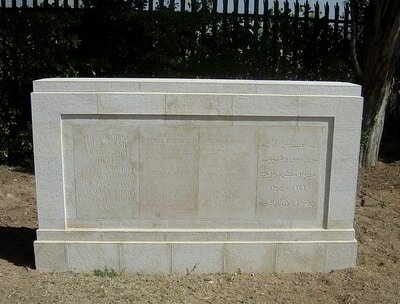 This simple screen memorial commemorates ten Arab soldiers whose graves in Syria, Lebanon and Israel are so situated that permanent maintenance is not possible.